The aptly named Flavia Barista is renowned for its authentic espresso drink, as well as a further range of 25 coffees, teas and coffee house speciality drinks. The styling is ultra-contemporary and elegant at the same time. 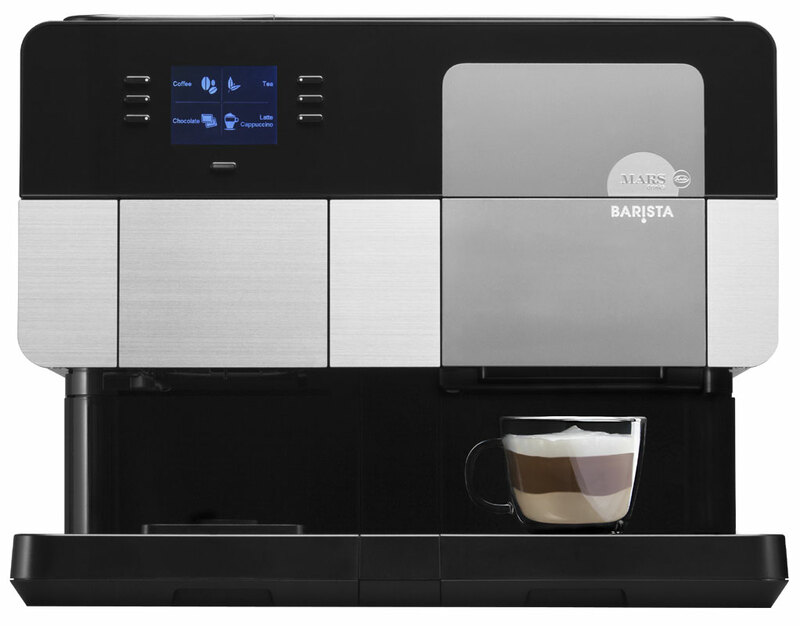 The applications for the Barista can be extended with a base cabinet and even a pay pod to reduce running costs. 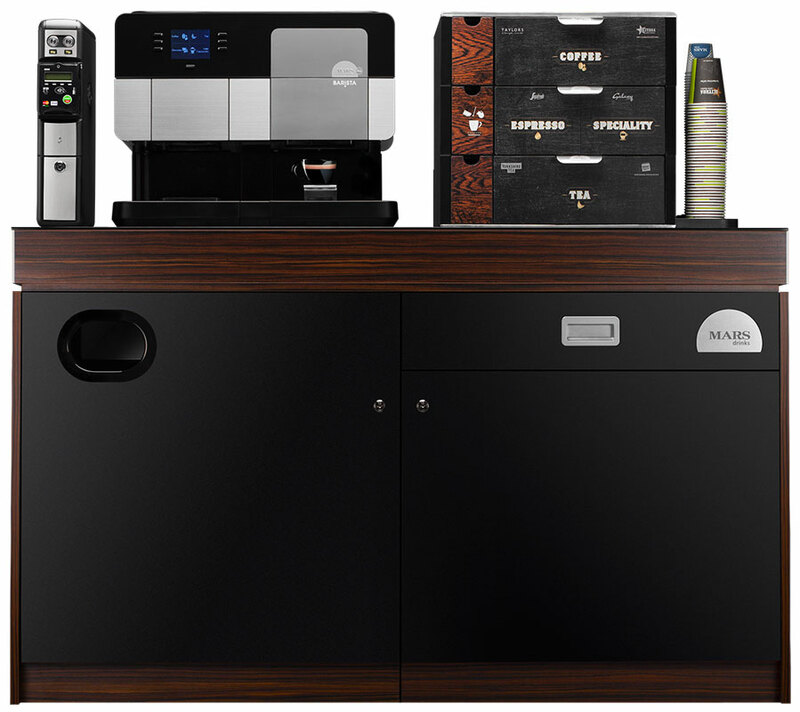 Shown with optional pay pod, drinks merchandiser, and base cabinet with integral waste bin and storage.